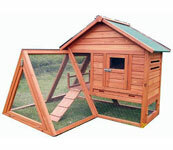 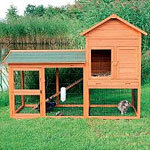 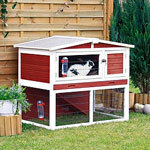 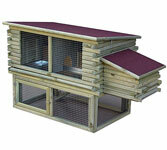 The two story rabbit hutch plan gives a rabbit a bit more variety in their living environment by including a nesting box upstairs and a small play area down stairs. 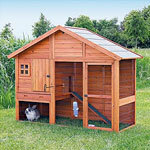 With an access ramp between the floors, additional daily exercise is ‘built-in,’ something not offered in single level, rabbit hutch designs. 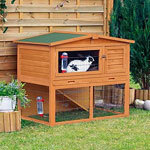 When choosing a 2 level rabbit hutch, you’ll have a choice between a hutch with a built-in, lower floor and a hutch with an open bottom. 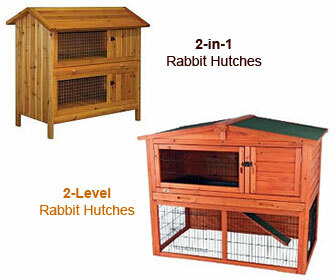 Both styles will have pros and cons. 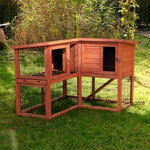 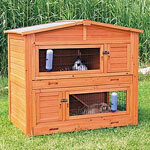 The 2-in-1 or double rabbit hutch designs shown (or stacked hutches) offer space savings for those that require separate housing for two or more rabbits. 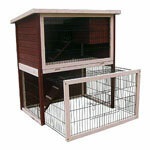 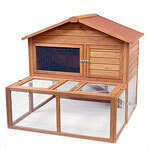 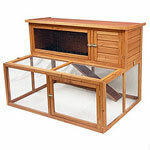 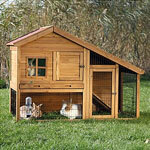 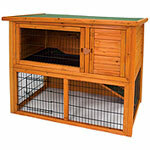 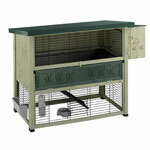 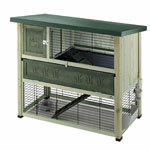 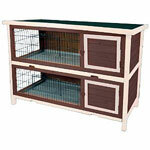 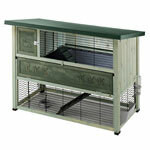 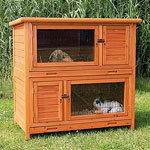 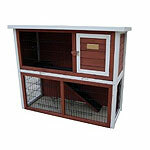 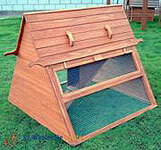 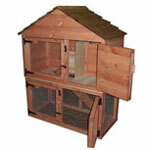 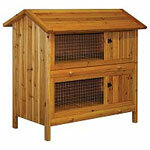 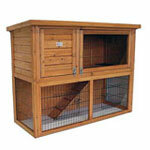 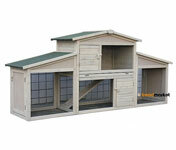 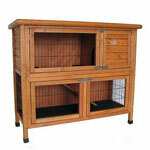 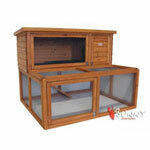 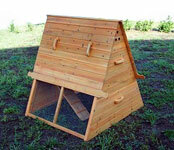 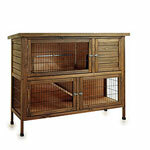 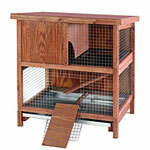 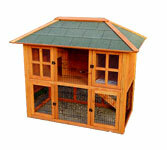 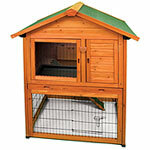 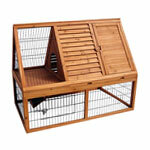 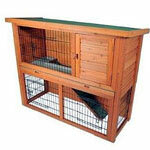 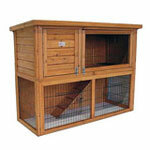 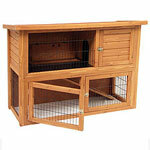 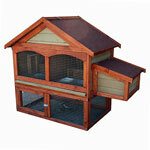 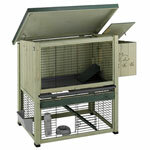 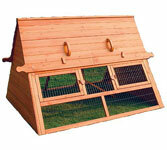 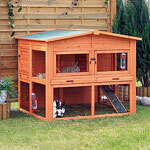 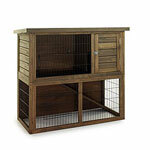 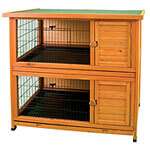 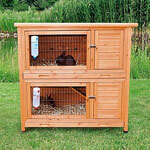 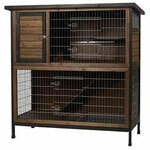 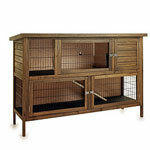 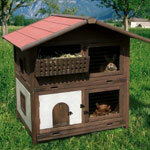 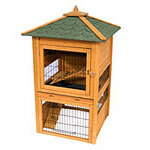 A few of these units offer a drop down ramp in the center floor/roof, allowing them to be used as a single hutch with an upstairs and downstairs. 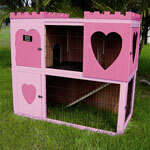 In either case, the there will always be a lower floor. 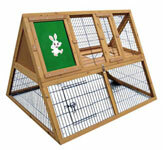 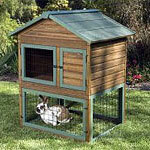 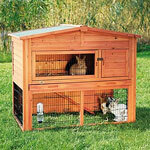 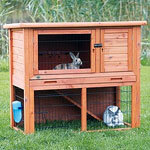 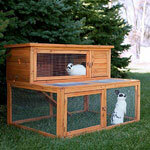 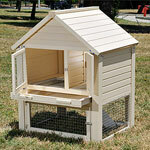 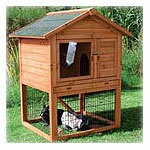 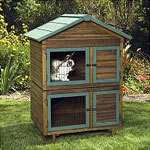 With an above-ground floor, you won’t be worried about your rabbit burrowing out, but you will have more to keep clean. 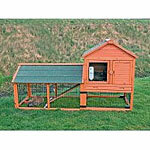 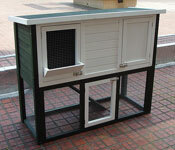 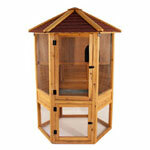 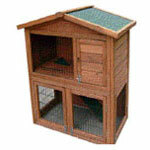 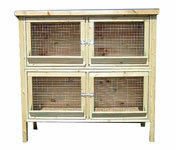 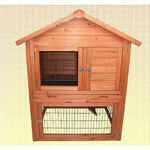 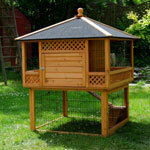 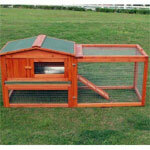 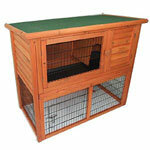 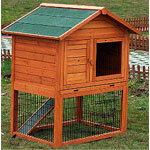 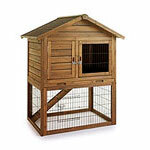 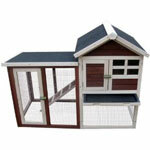 Some of the hutches are available with extended exercise runs or play areas. 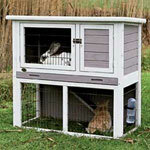 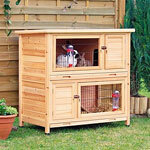 For rabbits that aren't handled daily or allowed some form of daily exercise outside the hutch, this type of hutch plan is one to consider. 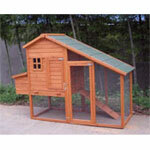 For additional information, links to Amazon are shown. 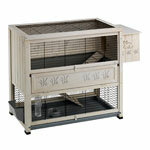 New Age Pet - Pinta Int. 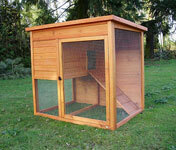 25" x 48" x 36"